A clinical study commissioned by the Food Standards Agency will identify, for the first time, how sensitivity to peanut is altered by external factors including exercise and stress. The three-year TRACE study will be led by Dr Andrew Clark, allergy consultant at Addenbrooke’s, which is part of Cambridge University Hospitals. 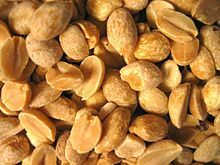 Dr Clark, and his colleagues Dr Robert Boyle and Professor Steven Durham from Imperial College, Dr Isabel Skypala from Royal Brompton Hospital, and Professor Clare Mills from the University of Manchester, are looking for people with a peanut allergy to participate in the study for a year. The researchers will invite about 100 peanut-allergic people from a cross-section of the population. These individuals will undergo ‘challenges’ under varying conditions to find out how sensitivity to peanut is altered by external factors, including exercise and stress (which in this study will be caused by sleep deprivation). According to Dr Clark, this study is the first of its kind globally. ‘It will not only bring reassurance to the thousands of people who are allergic to peanuts but offers a blueprint for improving food labelling for a whole variety of food,’ he said. Men and women aged 18-45, with a peanut allergy, are eligible to register. Participants will receive up to £800 for attending eight sessions at one of the two sites for the study: Addenbrooke’s in Cambridge or the Royal Brompton in London. The final results of the study will be published in the summer of 2016.